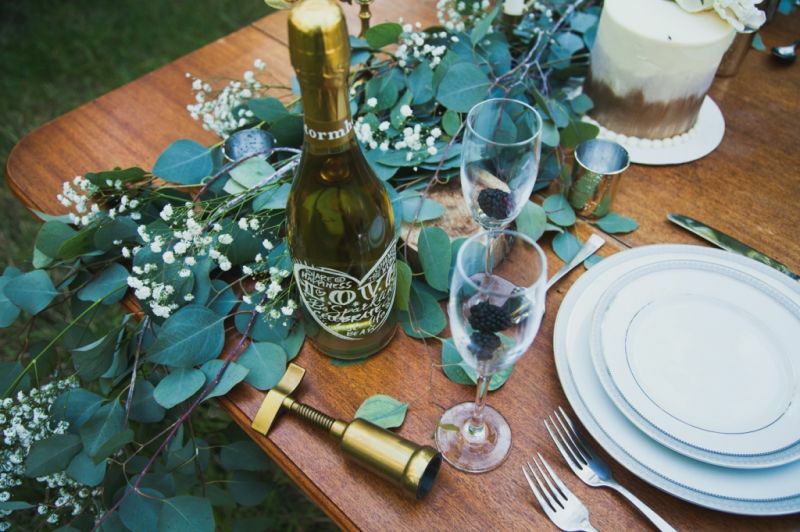 Today we are so excited to share with you the most beautiful proposal complete with every detail you could imagine and a perfect woodland inspired palette of gold, brown and dark green. 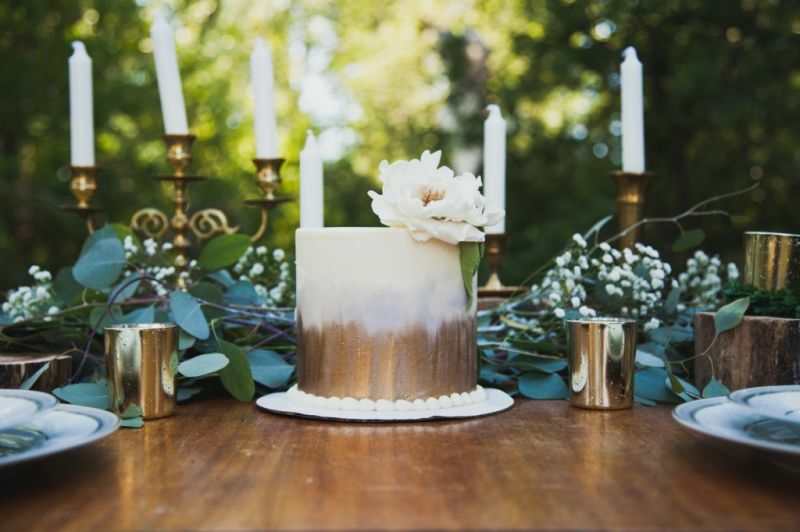 The gorgeous details like the gilded cake and sweetheart table in the woods have us completely in love, but it's really the beautiful story and the emotions that unfold that make this proposal so incredibly special. 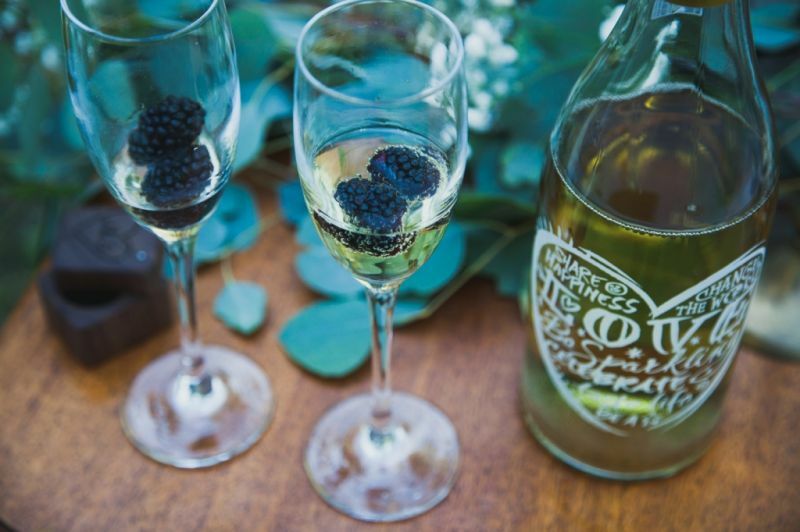 It's not everyday that a wonderful photographer like Katlyn Jane Photography & Weddings is on hand to catch all of those emotions and moments in beautiful photographs. 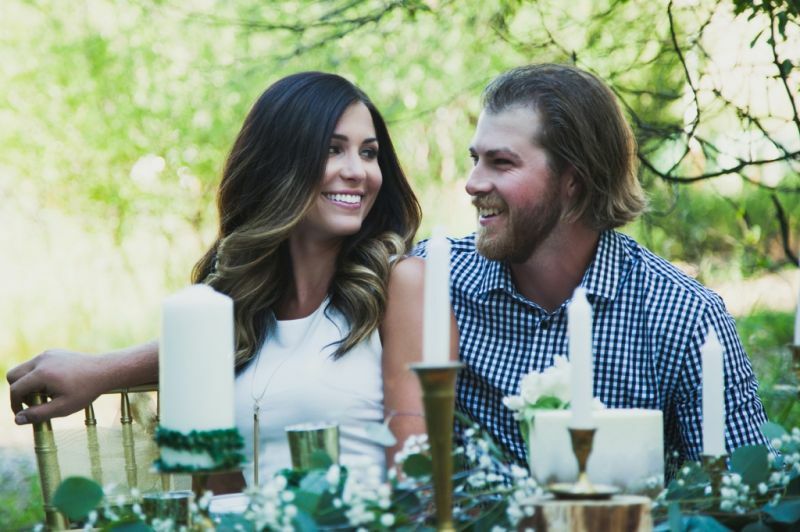 Josh and Samantha have been together nearly seven years; through high school, graduation, university graduation, building a house, and a life together. 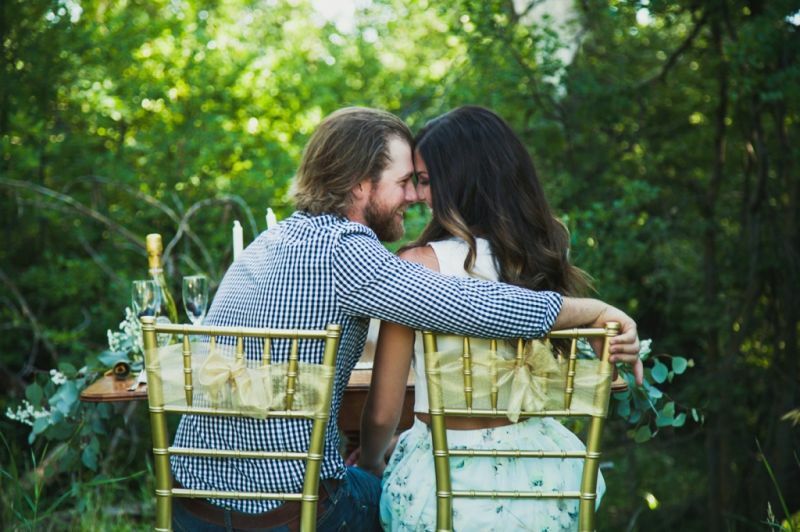 Everyone knows how perfect they are together, and perhaps why so many people have been asking for years "when are you going to get married?!" 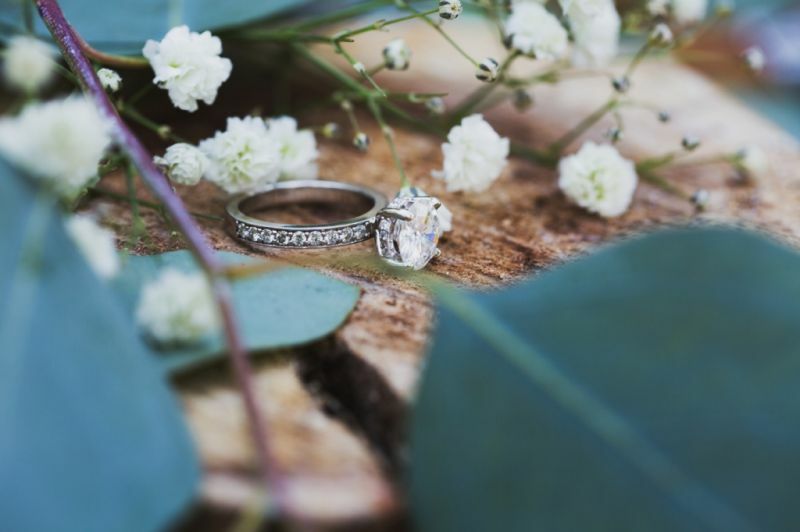 Josh contacted me about his proposal the day after he designed the ring with a local jeweller. He wanted to do something special, and he wanted photos of it all. 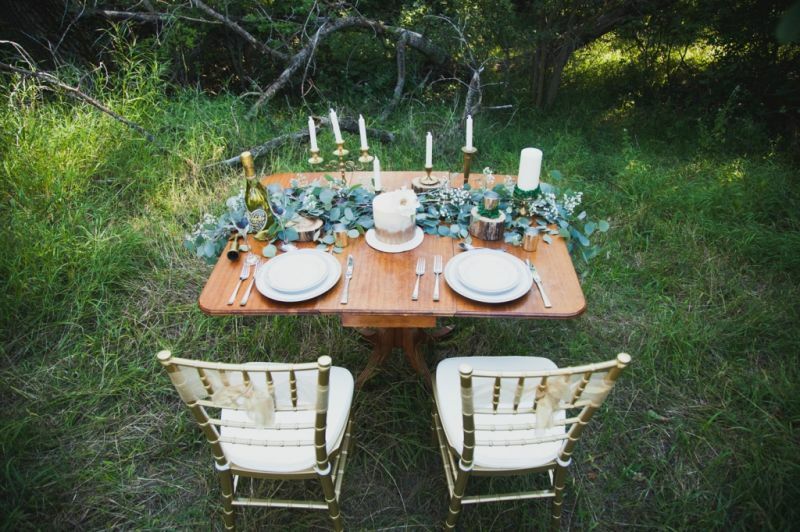 I sent him an inspiration board, and he loved the idea of a sweetheart table in the woods, just for them. Samantha recently graduated from Nursing School and is working in the NICU, and Josh has been working on a project at Waterton Lakes National Park. With hectic work schedules, it has been hard for them to see each other. We picked a day, and Josh was able to get a total of 18 hours away from the park to come do "some modelling" for me with Sam. I have worked with the couple a few times before, so it was nothing out of the ordinary to be doing another session. 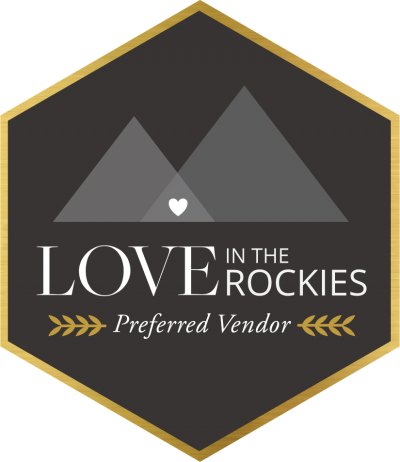 I had been in contact with Samantha about the session, sending her a few pictures of the items I had rented, so it wouldn't give it away when they showed up to location and it was all there. 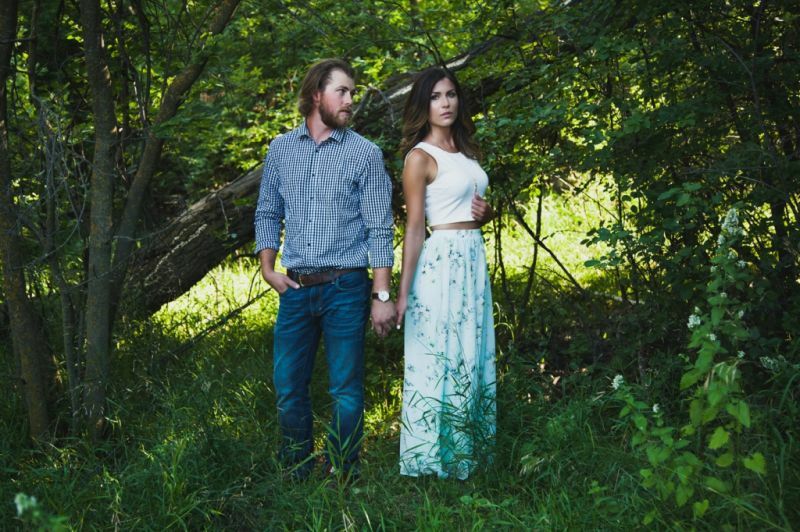 After walking through the river bottom, I came across a beautiful, tucked away and private area for the proposal. The location was perfect for this moment. Josh also mentioned that the ring box that was given to him was "huge" and he wasn't sure how he could hide it. 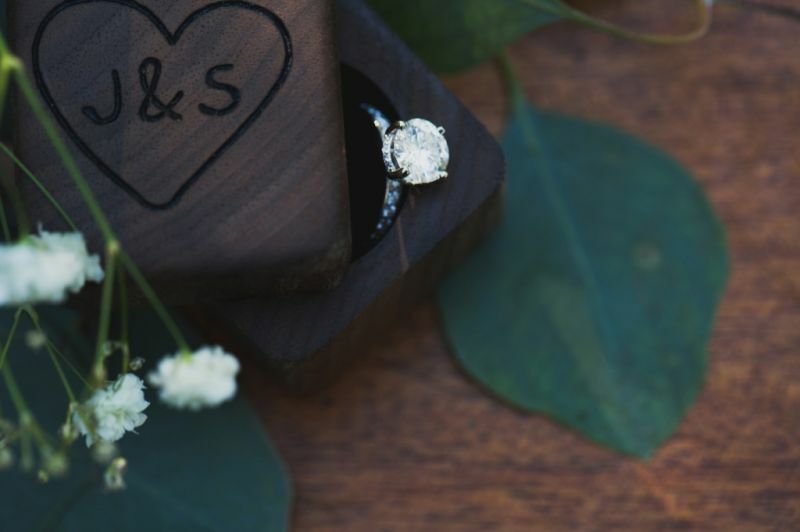 We searched Etsy for a custom (smaller) ring box, and found the perfect addition to the evening from Rustic Craft Design. I left the ring box with the ring, and a little "liquid courage" for Josh in my car. He snuck away "to go to the bathroom", and came back with the ring box concealed in his back pocket. We continued taking photos, he gave me the look and wink over his left shoulder, and I knew it was time. To witness something so special between two people who love each other so much is a total blessing. I don't know what he said, because I was too busy tearing up behind my camera, but its obvious they are so happy. 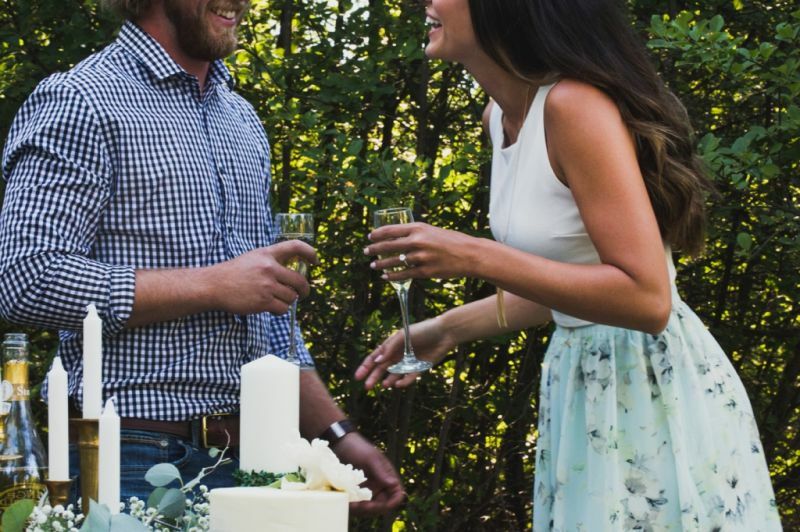 They popped the champagne, toasted to their future lives together, and we went to take their official engagement photos. Its fair to say they both had a hard time wiping the smiles off of their faces. Josh had previously asked both of Samantha's parents, and been in contact about what he had planned. Once we wrapped up the session, they called her parents and had both sets of parents get together to celebrate. Their moms could not hold back the tears of joy, and their dads were pretty dang happy about it all. Here's our favourite moment, when Samantha realized this wasn't just a photo shoot but something much, much, much more important! 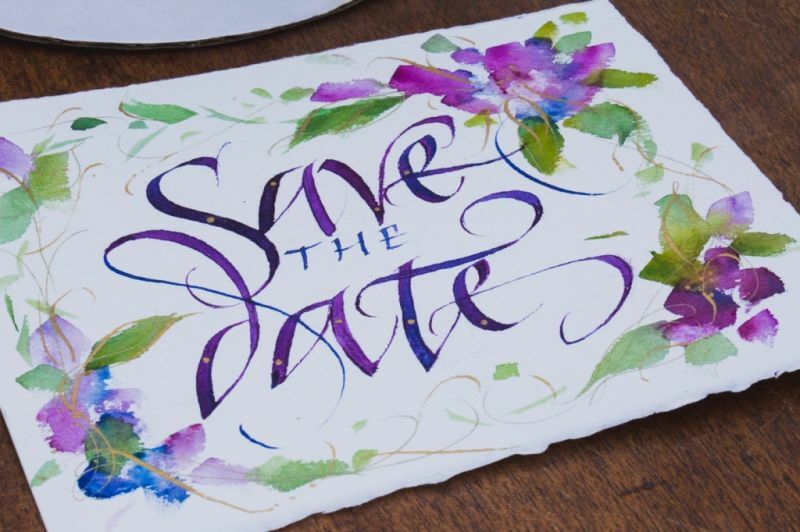 The gorgeous calligraphy and watercolour was created by Connie Furgason. Josh had a custom ring designed at Tompkins Jewellers and had a custom ring box made on Etsy. 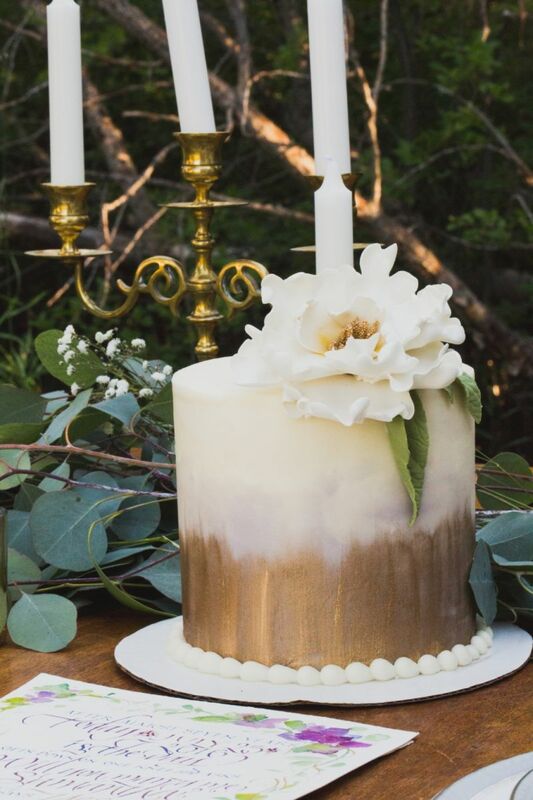 Their amazing photographer helped coordinate all of the details including the flowers from Flowers on 9th, the custom gilded cake with stunning sugar flower from Crazy Cakes, and all of the tabletop and furniture rentals from Designed to Dwell. 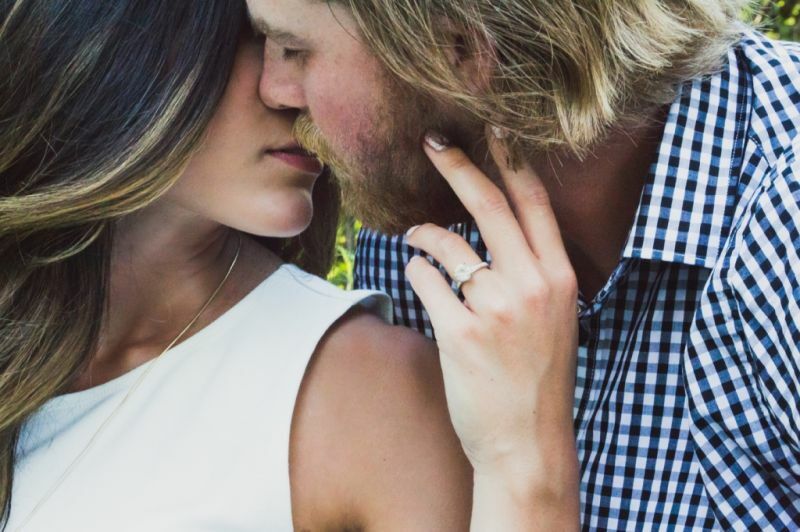 A huge thank you to Katlyn Jane Photography for sharing this gorgeous Lethbridge proposal with us and letting us share all of the beautiful details along with Samantha and Josh's love story. It's such a treat to share in such a powerful moment and remember how beautiful love is.